Rain streams down the sides of the usually arid Ayer's Rock after the iconic Australian landmark experienced almost a half a year's rainfall in just one day. 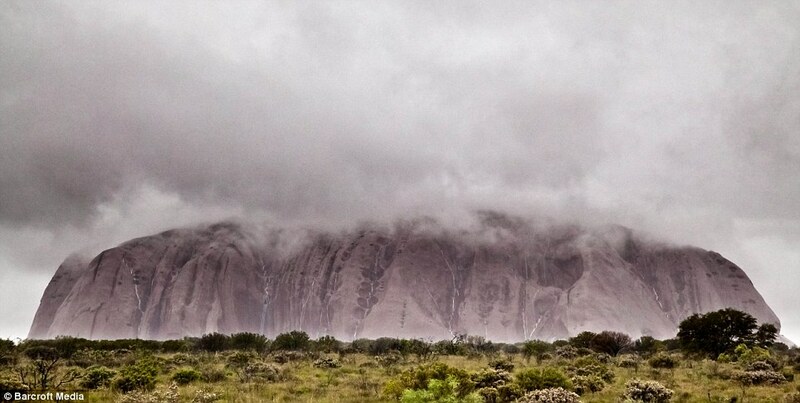 These rare images of a thunder storm over Uluru National Park show how the mountain was drenched by 2.8 inches on October 14. Only 6.1 inches of rain fell in the entirety of 2009.